Submersible slurry pump is designed to transfer drilling mud from mud pit to shale shaker for horizontal directional drilling. It is maintenance free pump with wear-resisting material impeller and pump hosing for long working life. 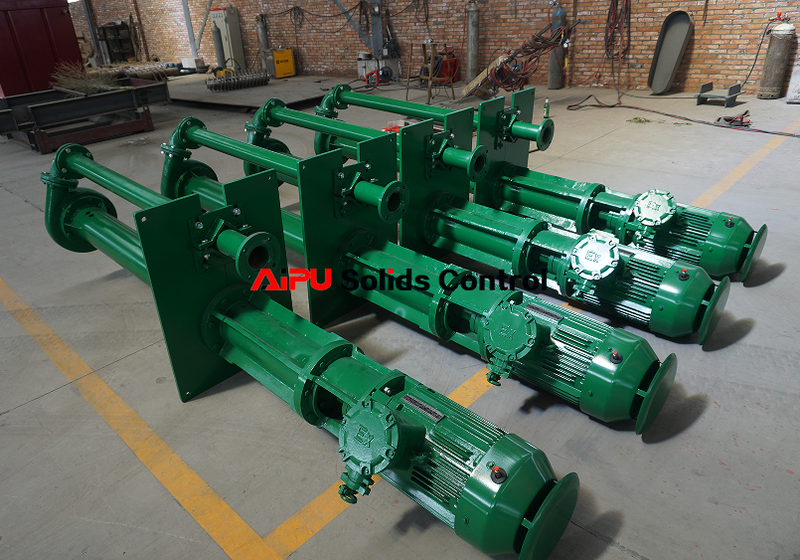 There are some clients is using waste water vertical pump instead of submersible slurry pump because of much lower price, but the pump is designed for waste water transfer and pump hosing and impeller will be damaged soon. 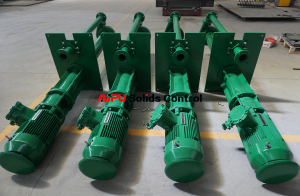 The submersible slurry pump will be working more than 1 year without changing spare parts and mainly impeller need change every 1 or 1.5 years depending on working conditions. It is maintain free as per mention above because of wear-resisting material. The mud in mud pit full of stones, sand and other hard solids particles which will wear pump impeller and hosing very fast. The wear-resisting material impeller and hosing help a lot to extend pump working life. The standard depth of suction from ground to bottom is 1.3m, the depth can be customized depending on request but standard depth normally suit all kinds of HDD drilling mud pit. The pump can be used for other kind of conditions that may require special depth, please mention when inquiry to keep sure correct technical and commercial supply. The pump is effective with higher mud flow volume at a same size motor compare other pumps. 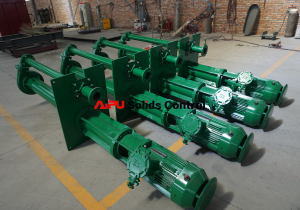 The slurry pump can be used for feeding mud into desander, desilter or decanter centrifuge by save mud tank space and maximum mud tank storage capacity. Submersible slurry pump is a best option on mud pit drilling mud suction. The connection between pump and shale shaker can be steel pipe or soft rubber cable for flexible installation. AIPU normal supply soft rubber cable if no special request. Please visit AIPU website for more information.